I am, admittedly, a fan of the Pittsburgh Pirates, or otherwise known as the worst team of the 21st century in any of the major sports. In the past few years I have become more of a disgruntled fan, in that I’ve given up any hope of success while the current ownership structure is in place. It’d be nice if I could be proven wrong, but I wouldn’t count on the battlin’ Bucs to compete any time in the near or distant future when the Nuttings are more interested in making a tidy profit than putting a competitive team on the field, even though it’s possible to do both in today’s MLB. The broadcasting crew for the Pirates is, I’d wager, pretty average, all things considered. It’s got a nice mix of broadcasting professionals and former players, a necessity in today’s game, and though there’s nothing spectacular about any of them, I do have an affinity for Bob Walk and his call-it-as-I-see-it attitude and Greg Brown with his enthusiasm that can only come from years of practice (as no one could legitimately be excited by the Pirates of the past 20 years with few exceptions). Steve Blass is a former player of some repute, having won the 1971 World Series along with other greats such as Clemente and Stargell. He might be more well known for “Steve Blass Syndrome”, the phenomenon in which a pitcher can inexplicably no longer throw the ball over the plate, but he had some very fine years and, as I mentioned, he’s got a World Series ring, which is no easy feat. All in all, I like Blass and his old-timey attitude toward the game, even if I don’t agree with all of his positions, and it’s easy to see that the decades of losing that have befallen this once historically successful franchise weigh on him more than many. Something about Blass that has grated on me for years, however, is his constant misuse of the word “irony”. Like many, Blass often confuses “irony” with “coincidence”. Unlike many, Blass is a professional broadcaster and should know better. If nothing else, someone who works for the broadcast production crew should point this out to him – incessantly, over and over again, until he understands. Because it’s driving me crazy. I open with this rather long story about the Pirates for two reasons. First, I can complain about the Pirates – any aspect of the organization – with the best of them (don’t get me started on the draft). Second, this is truly and honestly the birth of the 35th episode of Franks and Beans, “Irony”. In short, I realize that a concept like irony can be difficult to grasp. It’s an abstraction and there’s a lot of misinformation out there about the term. But it’s not so difficult that one can’t simply look it up, or, now, watch an enthralling episode of Franks and Beans on THE VERY TOPIC! An ironic situation is one that has two opposing meanings: one intended and one literal. This grammatical faux pax will annoy me until I am dead and gone. This episode has several different versions, all of which I love. There’s the original, brief version (for those on the go), the commentary in which we both perform our best ode to Arnold Schwarzenegger and speak about only what is literally occurring in the episode, and the extended edition, in which we present two more situations that are not in the least bit ironic. 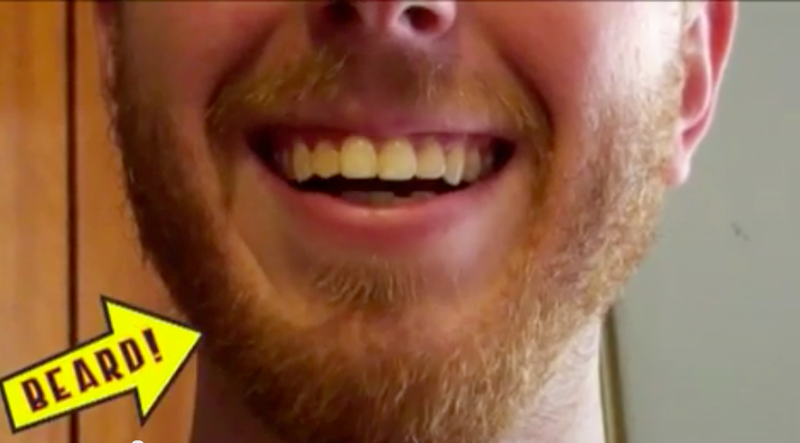 Our extended edition gives us more than just extra footage, however; it also provides our much beloved “beard arrow”, which is used in situations where beards need to be pointed out. And there are many, many times in which this is the case. 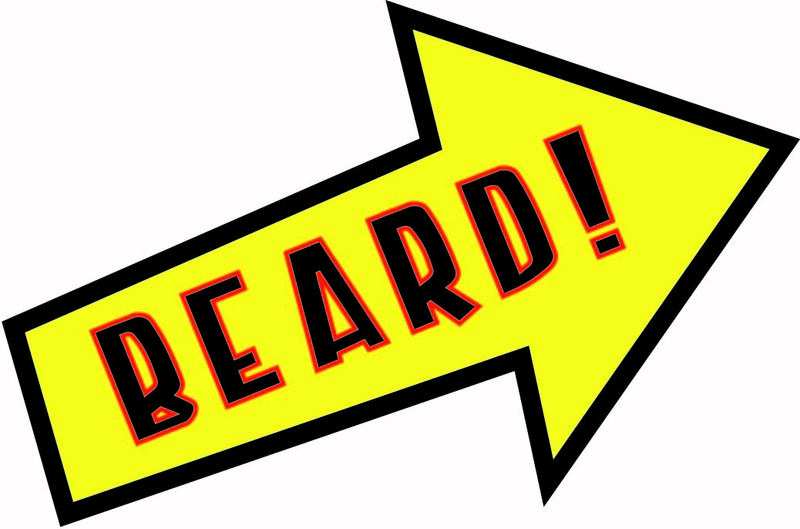 So please, with our blessing, feel free to download this image of a beard arrow, carrying it with you, and use it whenever necessary. The Franks and Beans beard arrow might just resemble the famous Kennywood arrow, but not in any legally prohibitive way, trust us. It is quite a sight, and it must have been put together with the utmost care, and not at the last minute, late at night on Adobe Illustrator. All in all, this episode does a good job at satisfying the grammarian in me, even though the use and misuse of irony does not qualify as a grammatical choice per se. The two areas spring from the same depths of my heart, though. And I think that episode 35 has some good laughs in it, too, and if nothing else, we get to see that poor Jeff is homeless by the end, and social misfortune is just an endless spring of amusement, right? Our No! ending even has a literary slant, with Larry, the fastest reader in history. If anyone is reading this, please let me know if you find any grammatical errors in this post. It would be pretty ironic, as I just spent an hour accosting anyone who doesn’t use a literary term properly. Episode 50 – A Thief in the Night. And the Day. Kid tested, mustache approved! The UHF art and movie screening Kickstarter!